Partners | Where is @rusnivek? Slightly different Sunday view for me. Great discussion with USSS today. 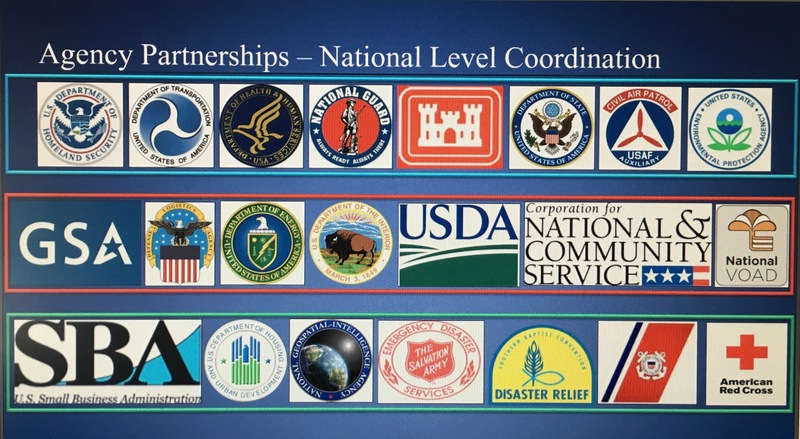 Great to see many local, state, and Federal partner agencies involved in safety/security for everyone in September – National Preparedness Month. As you know, preparedness is everyone’s responsibility. 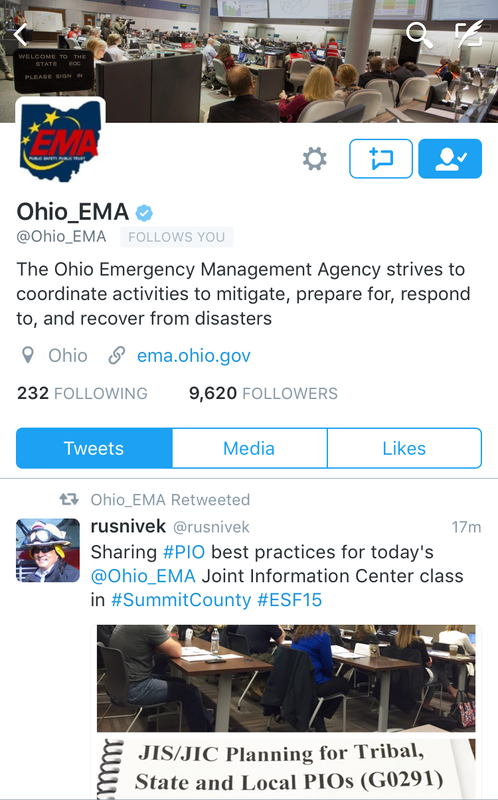 Rolling out the State of Ohio Emergency Management Agency‘s new G0291: Joint Information Centers (JIC) / Joint Information System (JIS) Planning for Tribal, state, and Local PIOs. Luckily, we were in the Command and Control room at the Summit County Health Department. As always, its great teaching with Sister Michael Marie. Outstanding experiences and great stories from her international work in challenging areas of the world. Even OEMA was checking in on our progress! 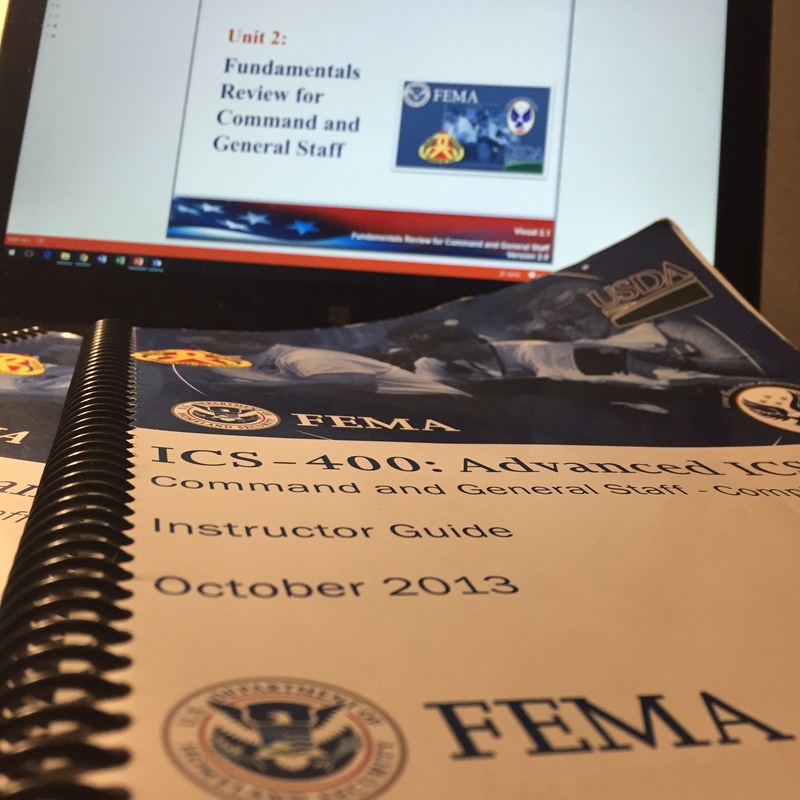 #truelove for us Emergency Management Instructors. Sister Michael showcased the importance of all-hazard PIO involvement in emergency response to a natural hazard. 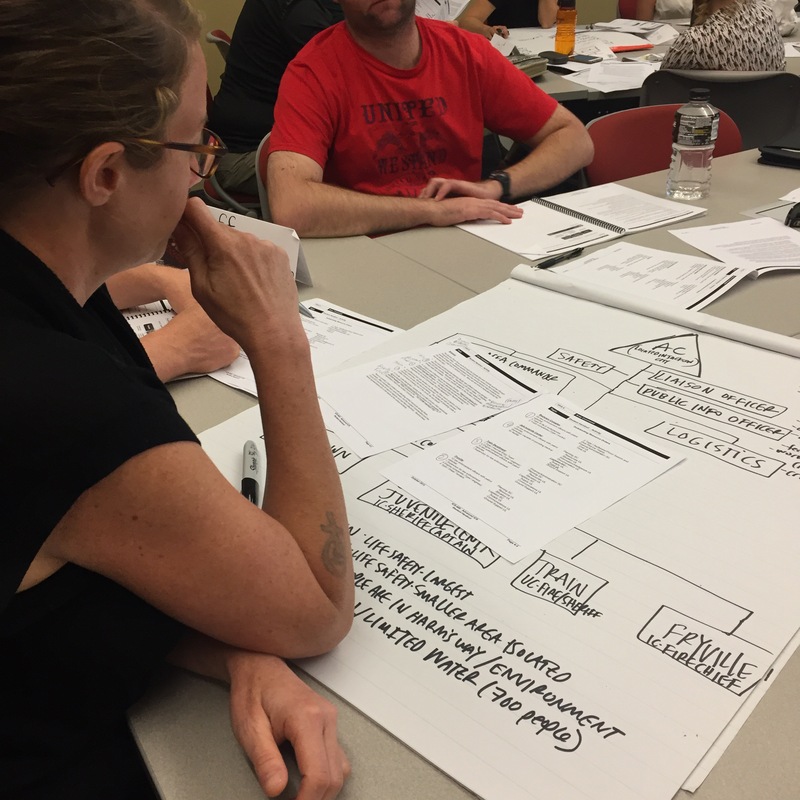 Everyone was able to share experiences and help each other improve – esp thinking outside the box on various scenarios. 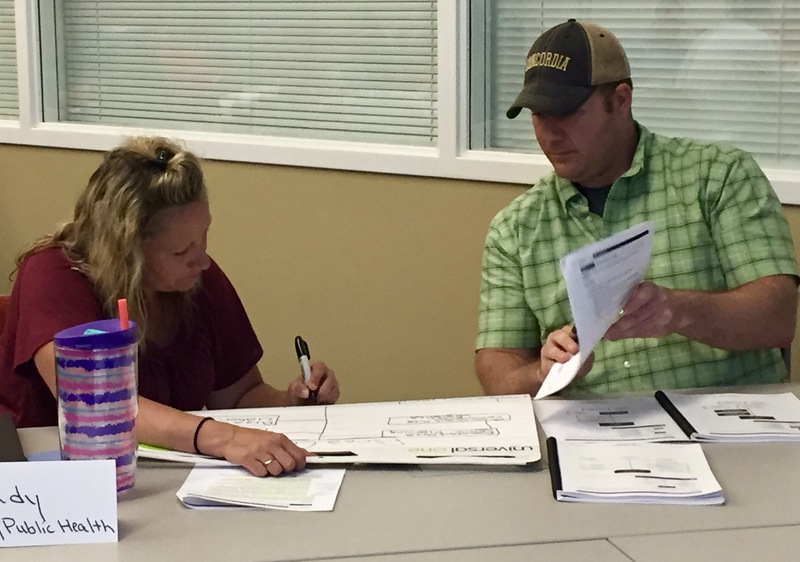 By the end of this in-class activity, our participants realized that there are so many parts to a “simple disaster” that it pays to build partnerships early. It’s all hands working in an emergency – so build your relationships early before a disaster. Remember: At 0300, you ugly, you smell, you stink – and clearly that’s not the best time to meet new people and to function in an emergency at 110%. Best part? At the end of the class, they all applauded. 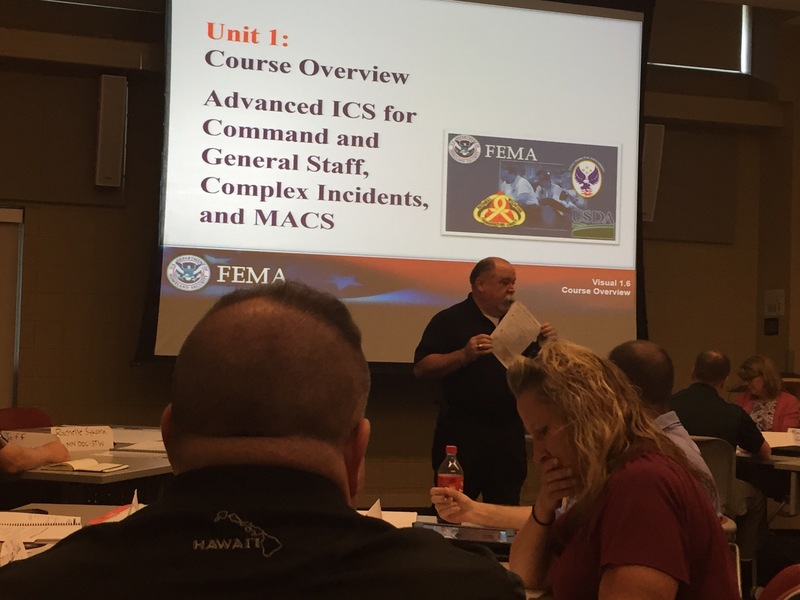 When was the last time a class applauded your Emergency Management NIMS ICS compliant class? As always, it’s great to teach with OEMA Instructor and consummate professional Sister Michael Marie. There is so much going on in this picture. I can’t even. I’m just glad to be a part of something big.